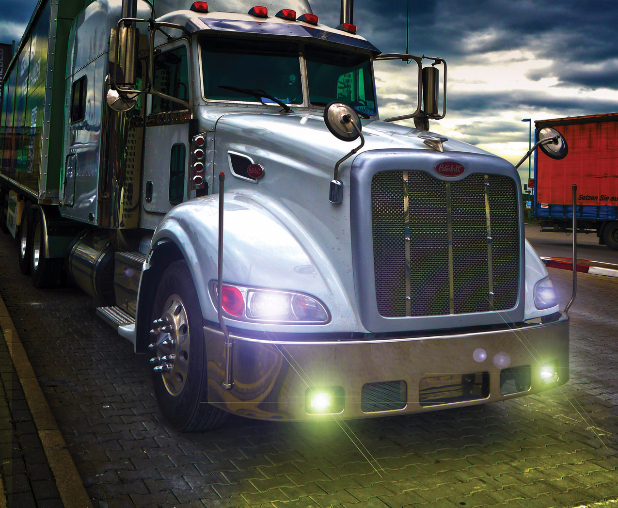 Eliminate Downtime and Increase Safety with PIAA SAE compliant LED Lights. Portland, OR, (July 28, 2016)- Whether you need back-up lights on a trailer, to ground lighting attached to an Excavator, or forward illumination for long night runs PIAA has you covered with the most extensive line of compliant LED lights on the market. Fleet and Commercial work trucks are often subject to inclement weather at all hours of the night making proper illumination and vision a necessity. PIAA offers an expanding palette of SAE Compliant vision products to illuminate the road ahead keeping operators and fellow drivers safe at all times. PIAA developed the first in industry Reflector Facing Technology (RFT), which has catapulted our lights to an industry leader in low power draw and pure light output. RFT was developed to precisely control light output from the LED chips, thus creating more light output and far superior beam control than any other LED light on the market today. All PIAA light kit includes everything needed for installation including mounting brackets, hardware, and a plug & play wire harness complete with relay and lighted switch. Beam control from the LP Series Round LEDs and the RF Series Light Bars is key in gaining SAE/ECE approval. The highly focused beam patterns concentrate all the light down the road and not high in the trees or into oncoming drivers eyes with light scatter. This SAE approval means no failing inspection that equals less downtime and more safety for drivers in inclement weather conditions, making PIAA compliant lighting and sounds investment for any fleet manager. All PIAA lights go through a rigorous testing procedure when developed to withstand extreme vibration, water pressure and dust ingress compatibility to be able to handle any weather or terrain that our products will be subject to. The low power consumption and extra-long life span, make these vision products exceed the life of most vehicles on the road today.